Our price:£ 27.00/pcs. tax incl. 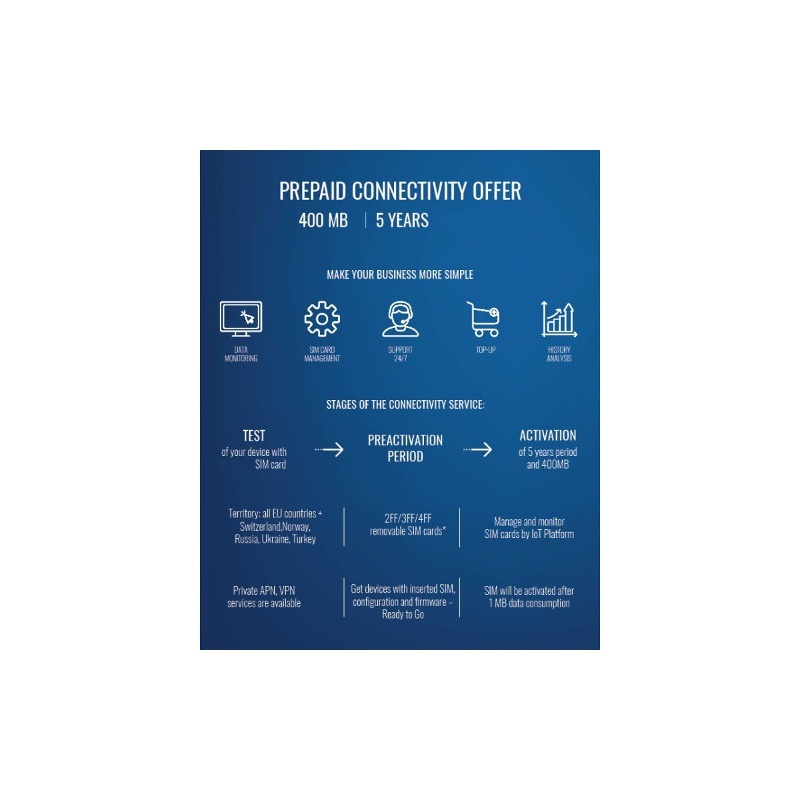 The SIM comes pre-activated with 400 Mbyte of IoT (Internet Of Things) / M2M (machine to machine) data connectivity to be consumed within 5 years, renewable at the same conditions. Comprehensive and robust coverage with multiple network operators servicing each region. Access to all network types on demand: 2G, 3G, 4G & LPWAN. Premium customer streaming experience with local, high-speed breakouts to reduce latency. 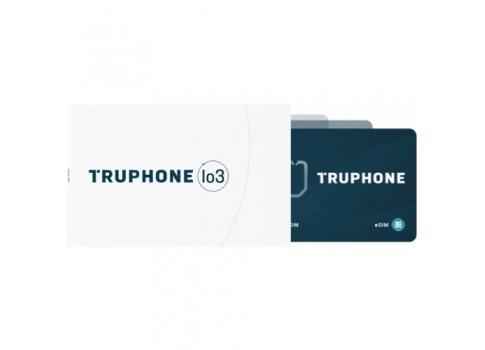 Enhanced bottom line with both high and low-usage plans, close-to-local rates, and flexible billing options. Plan optimised for Teltonika FM vehicle tracking devices. Verified, validated and approved by Teltonika on Teltonika FM devices. Compatible with every cellular device, software platform and network topology. The vast majority of professional Teltonika customers consumes between 3 to 6 megabyte/month (i.e. 180 to 360 MB in 5 years) per correctly configured Teltonika FM device. The SIM comes pre-activated and ready to go. 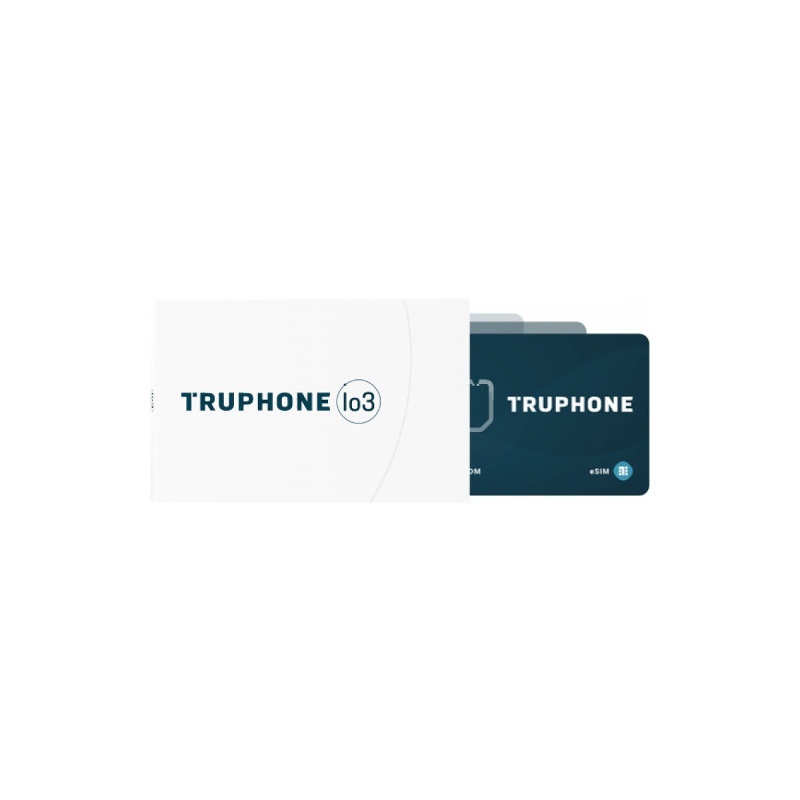 Simply install it into a device and then manage connectivity via the Truphone Io3 dashboard. consumers: identity card, billing and shipping details shall be consistent with a current bank statement or utility bill. 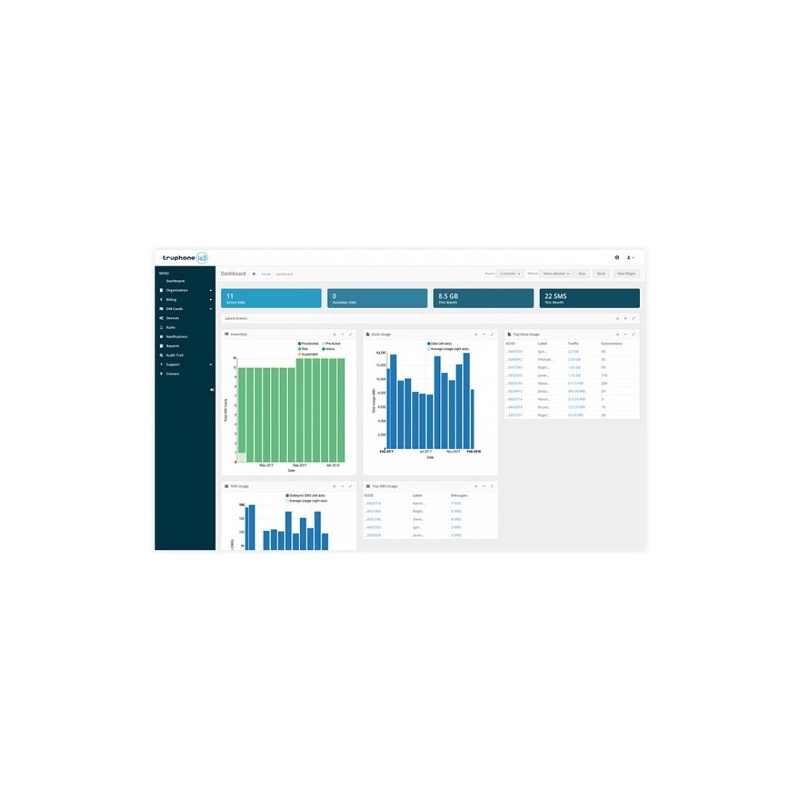 Automatically deploy and device across every network worldwide, at the simple push of a button. It's never been that easy. All your devices are monitored and managed from one single point, making them easier to upgrade, restore and support. Payment plans are tailored to you and offer a range of options based on location and data requirements.